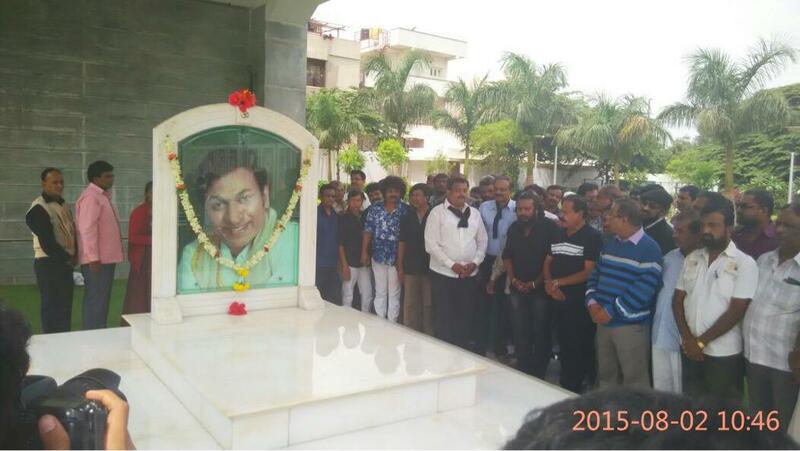 ಹಲವು ಸಂಘ ಸಂಸ್ಥೆಗಳಿಗೆ ದಂಡವನ್ನೂ ವಿಧಿಸಿದೆ. First Dubbing movie red alert realising tommorow..!! Hindu nationalists and Kannada organisations frequently blame Tipu Sultan for imposing Persian and damaging Kannada 200 years ago. But now he can finally speak Kannada. At least, Sanjay Khan can. 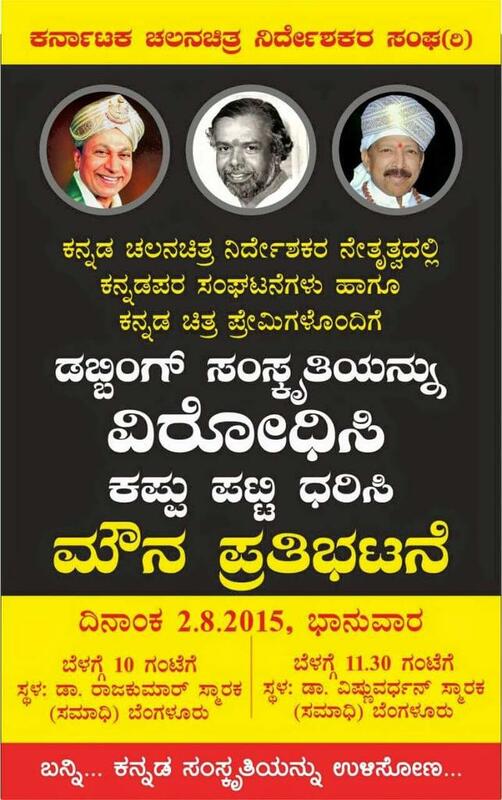 The entertainment industry in Karnataka and Kannada is now open to all. The film and television trade bodies in Karnataka have been rapped for preventing release and telecast of dubbed content in Kannada. Not only dubbed content, but industry bodies are not allowed to restrict the number of screens non-Kannada films are released in and cannot pressurise television channels like Doordarshan to have minimum hours of programmes in Kannada nor ask private channels not to telecast non-Kannada programmes. 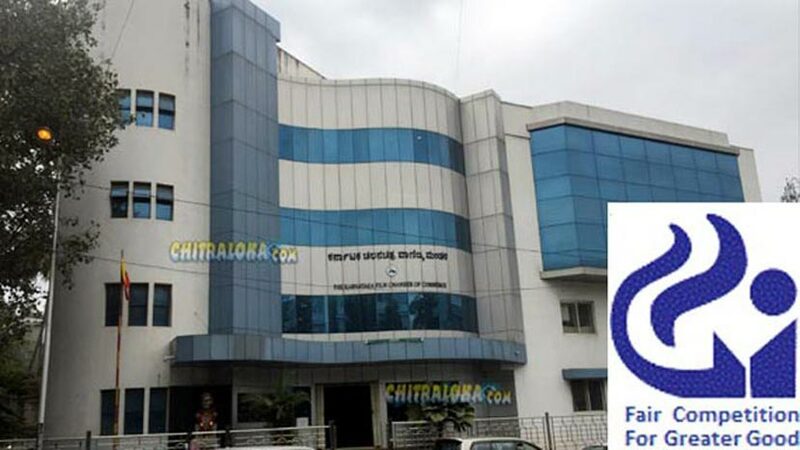 The Competition Commission of India (CCI) has imposed fines on the Karnataka Film Chamber of Commerce (KFCC), Karnataka Television Association (KTVA) and the Kannada Film Producers Association (KFPA) for preventing the release of dubbed films and television serials in Kannada. KFCC has been fined Rs 16,82,204 and the KTVA and KFPA, Rs 1,74,293 and Rs 1,68,124 respectively. In its order the CCI said, "The commission is of the view that any form of restriction to deny market access to other language films or programmes is not justified." The Kannada Grahakara Koota and Ganesh Chetan had informed the CCI about the Kannada film and television industry bodies preventing the release of dubbed films and serials in Kannada. The information had complained about disallowing of dubbed serials including The Sword of Tipu Sultan (1999), Sri Ramayana (1990) Veer Nari Jhansi Rani (2011), Satyamev Jayate (2012) and films like Lava Kusha (1963), Bharat 2000, Aa Marma, Namitha I Love You and Shwethanaga. The film bodies allegedly debarred non-members to release films, pressurise TV channels not to telecast dubbed content and indulging in anti-competitive conduct. CCI had ordered an investigation and the report was submitted on April 29, 2013. The CCI found, "concrete evidence against KFCC and KTVA, which showed that they were prohibiting/banning the telecast of dubbed content, both films and television programmes, on television." 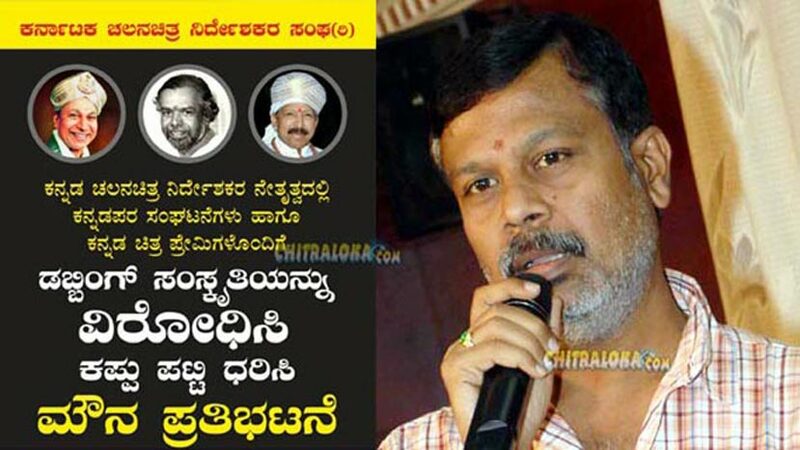 The producers' association was found to be jointly responsible for the decision of the KFCC. No evidence was found against the directors' association, the film workers' federation and the Karnataka Chalanachitra Academy, a government body. 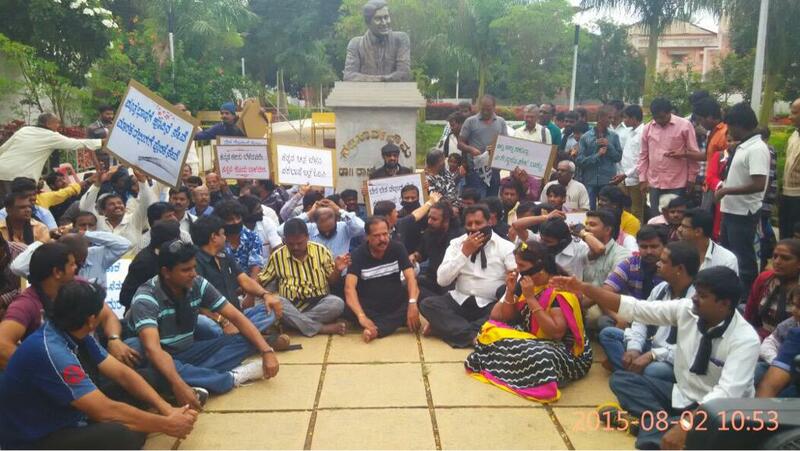 Industry bodies were taken to task not just for opposing dubbing. They were found "to impose conditions like number of screens for Kannada or other language films and number of shows on the other language films. Similarly, on TV, Kannada channels are told not to telecast other language content. 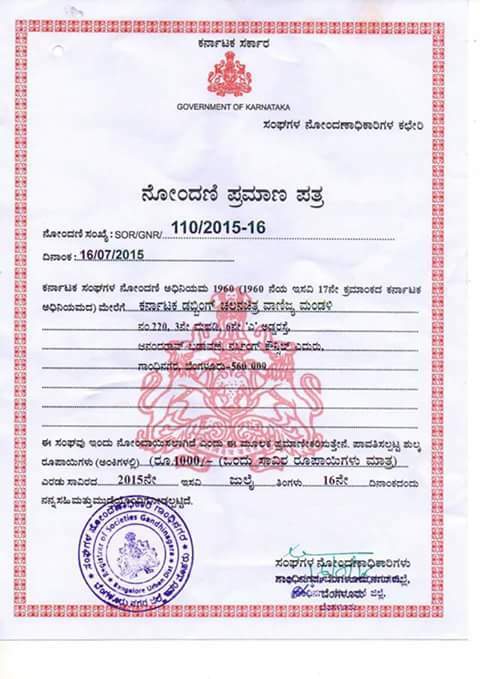 The opposite parties also impose restrictions like minimum number of hours for Kannada language programs." The CCI order notes the, "history of ban on dubbing of films in Kannada may be traced back to late fifties and early sixties. In 1962, the local filmmakers under the banner of Sahitya Parishath (organisation for the development of Kannada culture and language) declared a ban on dubbed films in Karnataka. 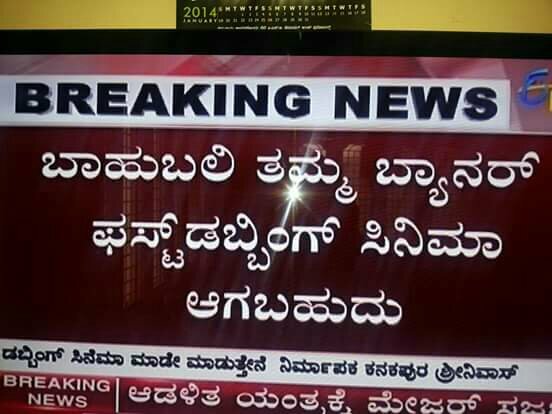 After this declaration, reportedly no dubbed film has been released in Karnataka. 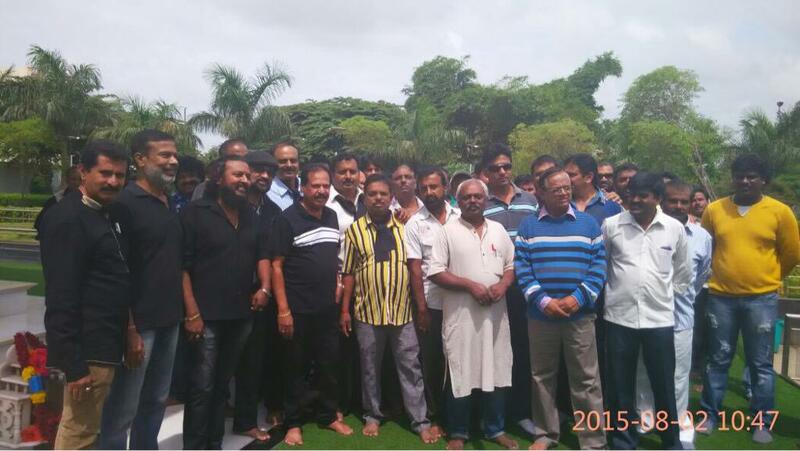 This declaration has been adopted under the banner of various film trade associations." The CCI does not find justification in the loss of local culture. It also noted that there was no legal prohibition on dubbing. The order said, "justification that the dubbed content destroys the local language and culture was considered by the DG as well as by the commission. Though it may be true that the spirit or meaning of the local language or culture may not be conveyed through dubbing or translation, yet the importance of dubbing cannot be denied." It also noted that the ban on dubbed content "is not backed by any legal/statutory prohibition on screening or broadcasting of the dubbed contents in Karnataka or any other part in the country." The CCI felt local artistes will not be deprived. "Today when technology permits watching more than 200 channels on one television, the dubbing of one or two entertainment programs from other languages cannot deprive the local artistes from showcasing their skills," it said. Prohibition on dubbed content, both films and/ or television prevents competing parties in pursuing commercial activities * Except in the state of Karnataka and to some extent in West Bengal, there is no such practice of restricting the dubbing of content * It may be true that the spirit or meaning of the local language or culture may not be conveyed through dubbing or translation * Cannot demand minimum hours of Kannada programmes on TV * Cannot restrict other language content on TV * Cannot impose maximum number of theatres on non-Kannada or Kannada films. Is it a dubbed movie??? 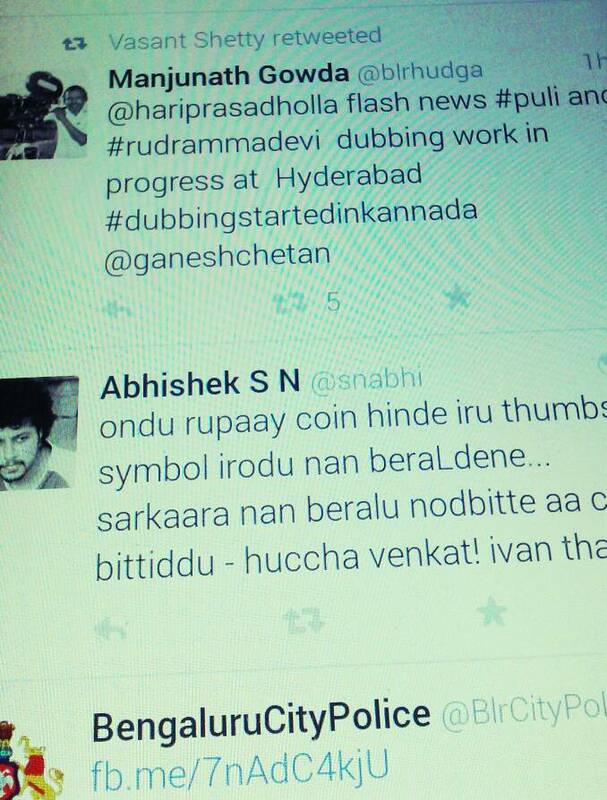 In my opinion, there r people who wants dubbing and also there r not. So neither CCI, nor KFl had the rights to decided. So to decide the verdict, one Hindi movie recently dubbed to Telugu and Tamil, to be dubbed immidiately to Kannada and release statewide. This initiatives should be taken combinely by both cci as well as Kannada film chamber. Each and every released theaters alli, every show end ge theater inda horge baruvavrige voting option idbeku. Dubbing beko bedwo antha. Then only the final verdict will have the meaning and the fairness. And also this will clear all kind of confusions in everyone.